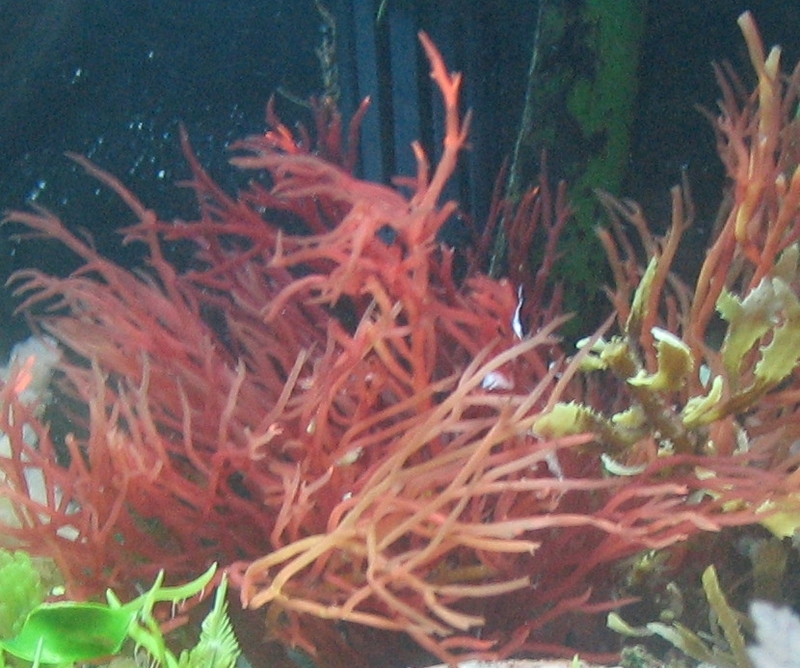 Gracilaria is a red branching macro algae with cylindrical shaped branches. It is easily cared for, doing well in low light, (1-2 watts per gallon on a 10 hour photocycle), as well as in brighter lighting. The macro can be easily trimmed, and the cuttings can be superglued to a rock or shell to start another bush. If placed in a refugium, the cuttings can be used to feed Tangs, Angels and other herbivorous fish who absolutely love to munch on this algae. It grows at a moderate pace. We will ship you a piece that is approximately 3 inches wide and 3 inches tall. The macro can grow to a size of 10 inches tall with a runner that can continue to spread the macro lengthwise.